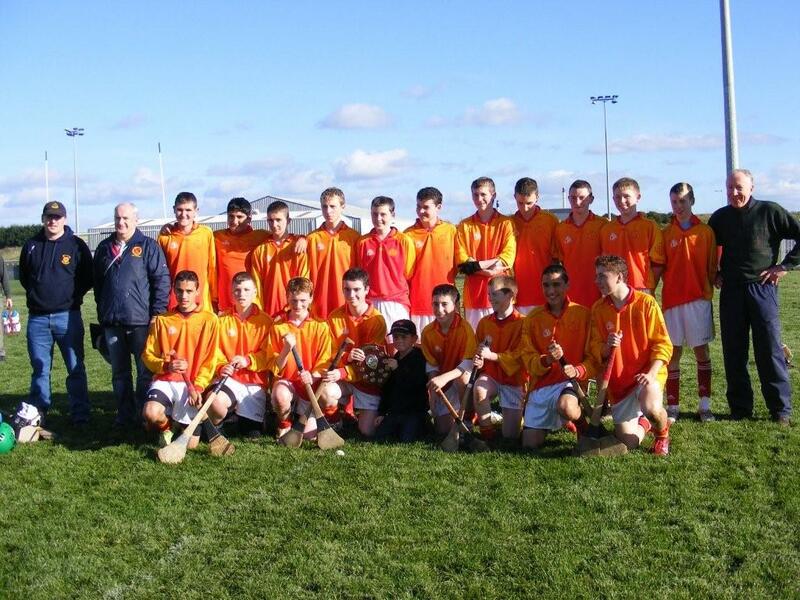 Castlebar Mitchels retained the Under 16B hurling championship in a very exciting game against Moytura on Saturday (16 Oct 2010). The result was in doubt until the final minutes after a very strong second half by Moytura, who exerted a lot of pressure on the Castlebar defence. Castlebar opened the scoring with an early goal from Darragh Hayes and Moytura replied quickly with a point from Keith Gibbons. Dara Singh then stretched the Castlebar lead with a second goal but Gibbons again replied with two points. A second goal from Dara Singh and a point from Ronan Byrne for Mitchels opened the gap again, but back came Moytura with further points from Cillian Mc Hugh and Liam Noone, before Aran Singh ended the first half scoring with goal and a point for Castlebar to leave them ahead by 4-2 to 0-5 at half time. Moytura started the second half in determined fashion but Martin Parsons in the Mitchels goal stood firm and pulled off a number of excellent saves to keep them at bay. Eventually the pressure told and two points from Keith Gibbons and a Cillian Mc Hugh goal brought the gap down to four points as Moytura kept pressing. A point from Aran Singh and a Feidhlim Ralph goal eased the pressure for Mitchels. Two further points from Dara Singh stretched the lead to ten points before Moytura hit back again with a point from Oisin Canney and a goal from Evan Summerville to bring the margin back to six points. Neither side could add further to the score and Mitchels held on for a deserved win. Ultimately it was Castlebars ability to score goals that made the difference while a steady defence ensured Moytura found it difficult to break them down. Castlebar had strong performances from Martin Parsons, Eamonn Kennedy, Adrian Neary and the outstanding Shane Nugent in defence. Ashley Jensen and Ronan Byrne did well at midfield while up from Kenneth Feeney and the Singh brothers always looked dangerous. Best for Moytura were Jack Forde, Joe Burke, James Murphy, Liam Noone, Evan Summerville, Keith Gibbons and David Hussey. Castlebar Mitchels B:- M Parsons, J Ormsby, S Nugent, E Kennedy, A Neary, G Robinson, L Howley, A Jensen, R Byrne, A Singh, K Feeney, D Hayes, B Flannery, F Ralph, D Singh.